Do you wonder about your Soul Purpose ? Do you have gifts your not aware of? Is there’s something blocking your abundance? Access Divine wisdom which enables you to solve any problem with grace and ease. This is the wisdom of the Akashic Record. We’ll answer questions about the Akashic Records and Akashic Know School where you learn to access your own Records. Receive Divine Guidance easily to clear blocks and transform your Soul’s Journey. 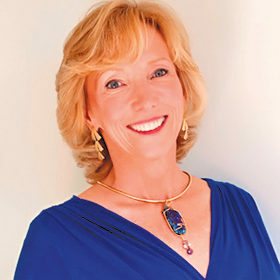 Lisa Barnett is the founder of Akashic Knowing School of Wisdom, a Teacher & Consultant of the Akashic Records. She brings 20 years of energetic healing and soul guidance to her clients & students.